Or not so happy at our house. Poor Simon was looking forward to his Valentine Day party yesterday at school. He spent a good hour addressing all the Valentines for his class. He put in a request that I "make the very best cards I have ever made" for his teachers. Thursday night he slept from the time he got off the bus until 6 am on Friday. He wanted to go to school and appeared to just be a little stuff. Breakfast didn't set well though so he had to stay home. He's still in bed sick today. We are postponing heart shaped pancakes until he is feeling much better. Today I have the Valentines I made for Simon's teachers and the Valentine I made for Fletcher. 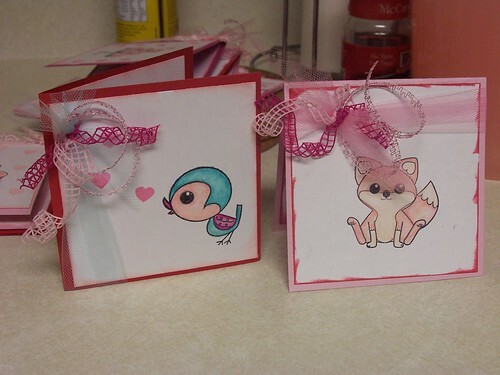 These first two Valentines feature Imaginisce stamps. I love the new little bird and fox. I used colored pencils to make mine more holiday appropriate. The cards are finished with tulle by Bazzil and the curling ribbon by creative impressions. 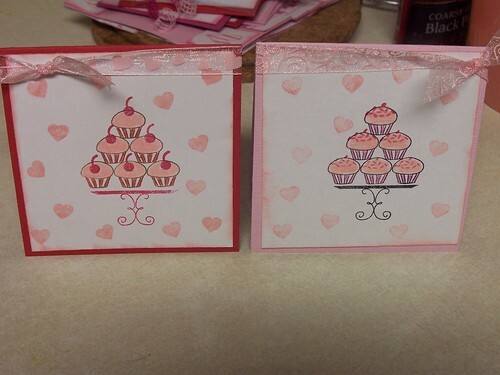 These two cards feature My Favorite Things What's up Cupcake stamp set. This set is fun to play with. I love that it comes with frosting, sprinkle and cherries. 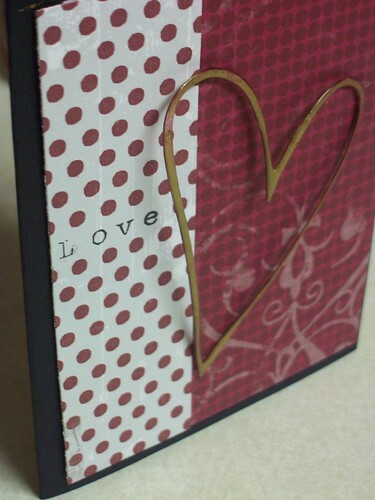 These cards are finished with more creative impressions ribbon. I used Little Yellow Bicycle paper scraps left over from the last class I taught at Felicia's Scrapbooks. In some dollar bin I picked up a set of Heidi Swapp ghost hearts. I "think" the heart is supposed to be solid but one of mine started coming apart so I helped it out to get this heart cut out. I turned it gold with some alcohol ink gold additive from Ranger. 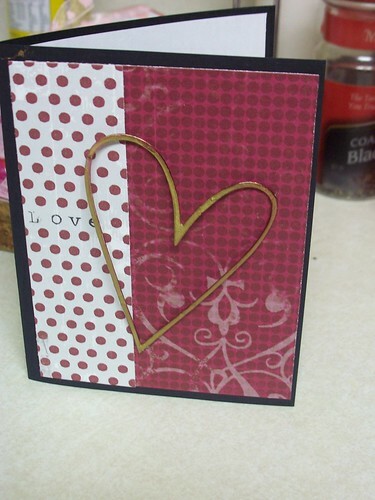 The heart is popped up off the card. Of course because he is a boy, my husband never appreciates the ribbon so I left it off this card.